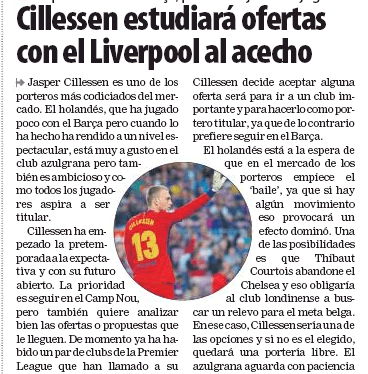 Liverpool need to solve their goal keeping dilemma by signing a top quality shot stopper and reports are linking them with Barca’s Jasper Cillessen. Few days back, Sport reported that the Dutch international, who has a release clause of €60million in his contract, could be lured for a fee of just €30million. Mundo Deportivo reported yesterday that the former Ajax star will study offers and Liverpool are quietly moving to sign him. 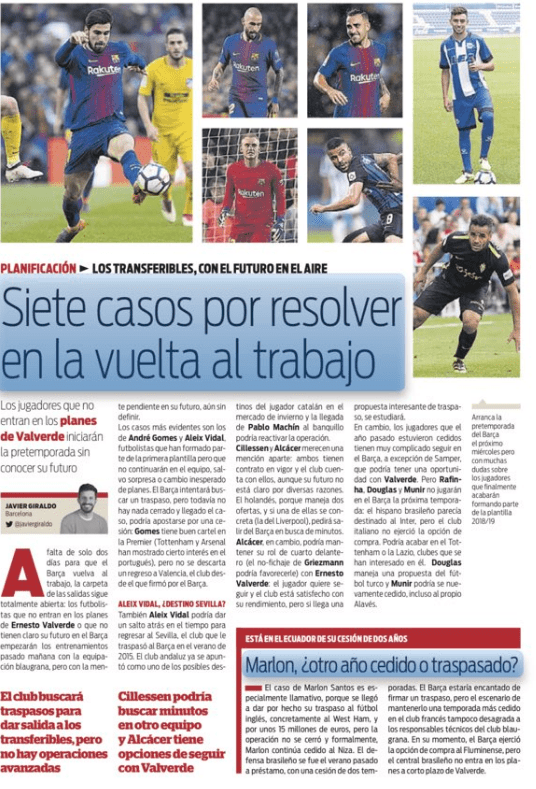 The Spanish outlet have mentioned that the player will only accept an offer to go to a major club and the Reds have ‘knocked on his door’. It is further stated that he could even leave for Chelsea if Courtois ends up leaving the Bridge. The Belgian international is one of the best shot stoppers not just in the Premier League but in the world and if he leaves, then Sarri should sign a world class goalie for the Blues. In my opinion, Cillessen, who has warmed the bench at Barca in the past two years is not good enough to replace the former Atletico Madrid star. As far as Liverpool are concerned, they have got two of the most inconsistent goalies in the PL in the form of Mignolet and Karius. Therefore, they must sign a new man to guard the goal and the 29-year-old Netherlands star’s CV is much better than the LFC duo. Jurgen Klopp has not got a habit of spending a lot on signing goal keepers for his teams but the German coach has to change that habit now and he must splash the cash to lure a quality player.